Cuddy Cadabbra! Just in time for Halloween Abbra and Cadabbra are here to haunt your dreams with their cute little selves! 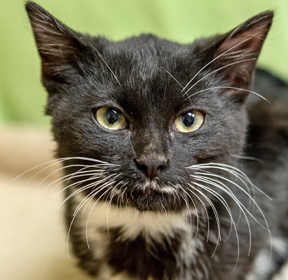 Cadabbra would spend his whole day in your lap, purring and snoozing. Wouldn't it be nice to adopt the two brothers together... and Abbra Cadabbra!